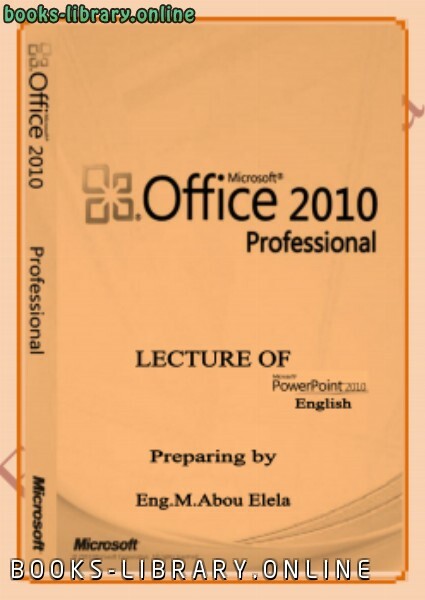 كتاب شرح برنامج بوربوينت 2013الكتاب باللغة العربية شرح كامل للبرنامج بالواجهة الانجليزية مع تمرين عملى على انشاء العروض التقديمية تأليف: م/ محمد ابو العلا Enhance your presentations with PowerPoint 2013 Create presentations that captivate your audience. Explore PowerPoint 2013 features and support options, and get tips for designing like a pro and presenting with confidence. Ready to maximize the impact of your presentations? 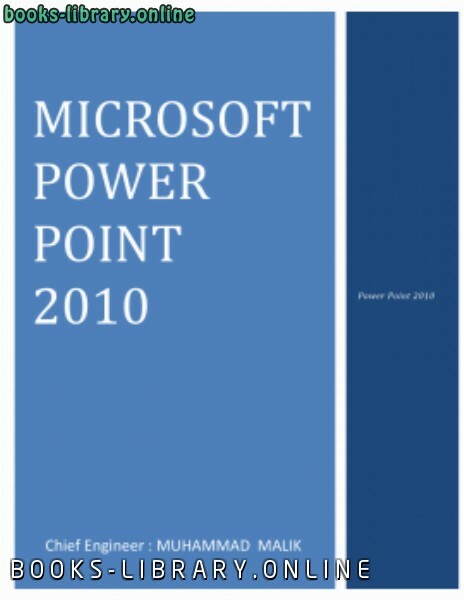 Try PowerPoint 2016 with an Office 365 subscription. With Office 365, you can install all the new Office apps on multiple PCs, Macs, and other devices. You get 1 TB of OneDrive online storage per user, 24/7 tech support, and more. Create presentations that captivate your audience. Explore PowerPoint 2013 features and support options, and get tips for designing like a pro and presenting with confidence. Ready to maximize the impact of your presentations? Try PowerPoint 2016 with an Office 365 subscription. With Office 365, you can install all the new Office apps on multiple PCs, Macs, and other devices. You get 1 TB of OneDrive online storage per user, 24/7 tech support, and more. 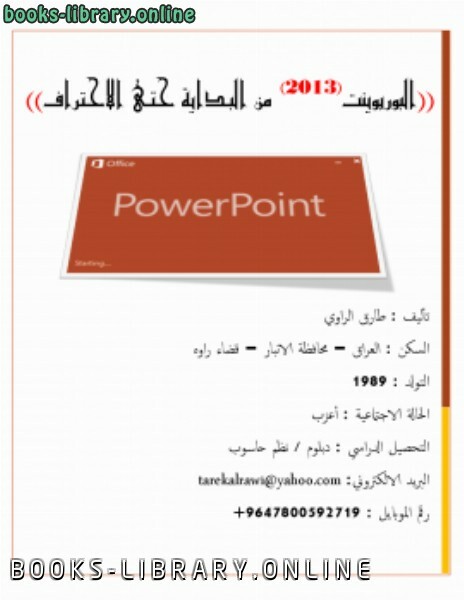 عدد مرات التحميل : 35349 مرّة / مرات. حجم الكتاب عند التحميل : 6 ميجا بايت .